GREAT LAKES, USA – The Great Lakes Surf Rescue Project (GLSRP) announces that Great Lakes drownings are up 55% over last year. On May 29, 2013 there were 11 Great Lakes drownings; none of those were in Lake Michigan. On May 29, 2014 there are 17 Great Lakes drownings; 11 of those drownings happened in Lake Michigan. Overall since 2010, 347 people have drowned in the Great Lakes (74 in 2010; 87 in 2011; 101 in 2012, and 68 in 2013). 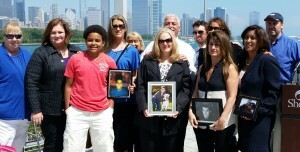 Families and friends of Great Lakes drowning victims united at a Great Lakes Water Safety press conference on Thursday. Family members traveled from northern Michigan, Ohio and the Chicagoland area. 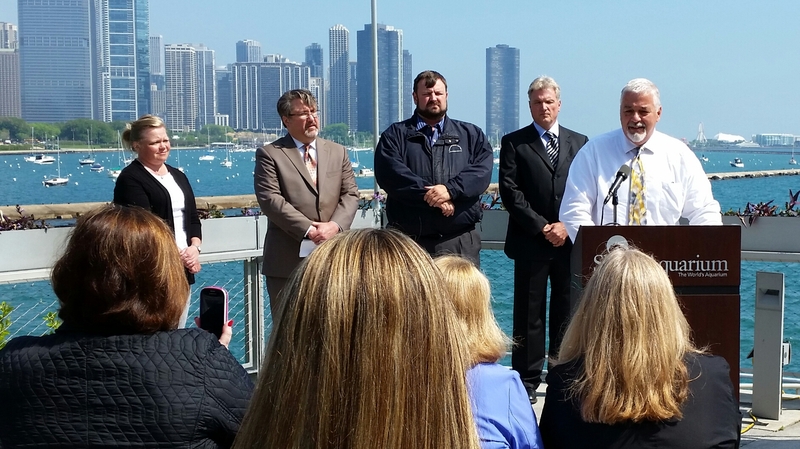 The press conference had speakers from the Great Lakes Surf Rescue Project, family and friends of Great Lakes drowning victims, the Illinois Department of Natural Resources, the Chicago Park District, the Great Lakes Commission, the National Weather Service, and Great Lakes drowning survivors. The GLSRP in partnership with the Chicago Park District, IL DNR, and Council of Great Lakes Governors will be performing three “Great Lakes Water Safety” classes in the Chicagoland area in coordination with the National Weather Service’s “National Rip Current Awareness Week” and the Great Lakes Governors annual “Beach Safety Awareness Week”. Please RSVP for Dates at www.glsrp.org/classes and follow drop-down menu. Water temps in the Great Lakes can range anywhere from 36 degrees to 60 degrees this weekend. Cold water can impair a person’s ability to swim and cause a hyperventilation gasp reflex. Everyone should know the 1-10-1 Rule of Hypothermia.